Official Facebook page of my work. With updates, links and other cool information! I love this place, I have bought a lot of great used gear here for a good price especially some extra lenses, lens caps and many other awesome items! Most of my spare parts, motordrives and even spare lenses have come from this place! It's an awesome site! I have bought used Canon film bodies here, used lenses and a couple of flashes. When they say Excellent Condition it looks like new! Definitely recommended! Great customer service by KEH! The gear they sell you is always as stated. Some of the gear I bought from them was a minit condition like new New F1 1984 Olympic Edition, An Ae1 Progra, 2 AE1s, two Speedlite 533G Lenses, 2 300TL flashes, a Speedlite 199a, 3 Canon T90 bodies, various FD accessories (lens hoods, caps, filters, etc), a Powershot G10 and about 15 lenses. KEH is easily the best used camera store on the planet. Need a tripod? Film? Any type of camera case or brand new gear? 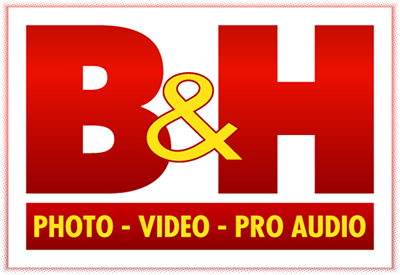 This is the place I go to for all of my film, tripods, cases and other cool stuff. Their customer service is amazing! I also buy audio equipment, video games and lots of other stuff here. If you are from the Cleveland area these guys are awesome. I have had some work done by them recently and they did an awesome job on my Canon A1 and New F1. They do full CLAs, repairs on cameras, infrared conversions, video cameras, and many other services. I have also been using them to convert old home videos to DVD. Mike is very knowledgeable, and he and his staff do a great job. Procamera has been a staple here in the Cleveland area for well over 30 years and does excellent work! Highly recommended! As many of you know I absolutely love the Canon T90. One of the best and most underrated cameras ever made. Not only that the technology involved with this camera is still mindblowing even after almosrt 30 years. If you own one of these (and I own three of them) and need yours repaired, cleaned and can't find anyone to fix it or the parts to fix it. Email Steve here at Camera Clinic. He is your T90 expert and enthusiast all in one. The T90 is a great bargain and the technology it offers still competes with everything being made today. Steve also offers repair services, lens cleaning and repair, camera parts sales and many other great services. Steve also offers used camera gear.